Renowned Dutch author Ilja Leonard Pfeijffer presents his masterpiece novel La Superba, to be published by Deep Vellum on March 15th, co-presented by the Dutch Foundation for Literature, the Netherland-America Foundation, & the Dutch Culture USA program by the Consulate General of the Netherlands in New York. 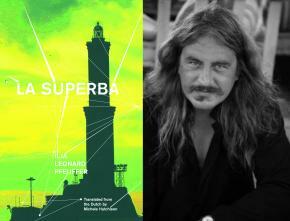 Order your copy of La Superba from Deep Vellum today, or preorder from your favorite local indie bookstore! !